We are extremely excited to announce that this year, the group of eight intervarsity challenge has been expanded to include women's netball! 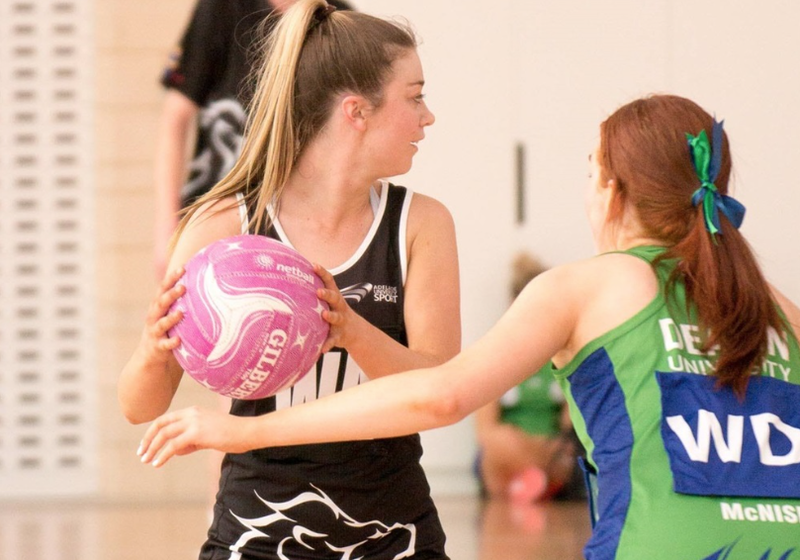 Universities including Monash, the University of Melbourne, University of Sydney, QU, ANU and the University of Adelaide will come together in September to battle it out in a North/South Conference to determine the best Netball University in the region! We are calling on Adelaide University students who are playing Premier League, Reserves or A grade netball to register and form the strongest possible team to compete against Monash university in round one, in the early afternoon on Friday September 14th at Priceline Stadium. The winner of the match will go on to round two, where they will travel to Melbourne to compete against Melbourne University. Please note that all associated travel costs will be covered by AU Sport. This is a fantastic opportunity for students to compete on a National University level, with no associated costs or long terms commitments. So get involved! 14 September: Round 1: AU vs Monash (time to be confirmed). Round 2 and Final Round dates TBC. This competition is not linked to Netball SA or any other league. It is only open to university students and is organised solely by the Universities involved and endorsed by UniSport Australia. The Universtiy of Adelaide team is coordinated by AU Sport with the support of the AUNC, and other university departments. This year, the University of Queensland, the University of Sydney, the University of Melbourne, Monash University, Australian National University and the University of Adelaide will battle it out for the Varsity Challenge Cup in a North/South Conference style competition. Limited training will be held before the round one game at a location to be confirmed. Trainings will be used to select the best possible team for each game. These sessions will be led by the coach, team manager and the team’s leadership group. The aim of team selection is to choose the strongest team possible for each game. As stated, the University of Adelaide IV Netball team is open to all University of Adelaide students and no bias is shown to those who play for the AUNC. A squad between 12 - 16 will be selected for the 2018 Varsity Cup Challenge and from the squad, a team of 10 - 12 will be selected for each game. Those selected will be required to agree to AU Sport's Code of Conduct and will be provided with a (hire) uniform as well as a letter of leave from AU Sport that can be used to explain your absence from classes. There are no costs associated to those selected in the squad. All costs for travel, trainings and the games are covered by AU Sport. This is simply a fantastic opportunity to represent your university in a competitive, long running and exciting competition. To register your interest to represent the University, please complete the registration form and request to join the current IV Netball Team Facebook Group. This group is used by the leadership group to coordinate training and other communications. If you have any questions, please feel free to contact Hayley (AUNC President) at netball@theblacks.com.au. Like Josh, current IV Football Captain, Eddie Dadds says "Getting the unique chance to represent Adelaide University in a national intervarsity competition has been one of the highlights of my time studying. It's a high standard of competition, but most importantly, it gives you the chance to make a bunch of new mates. Make sure you get involved".